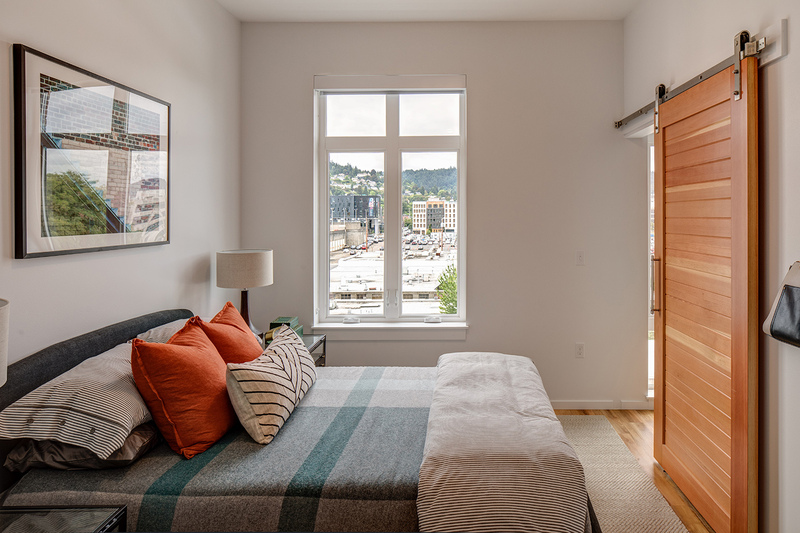 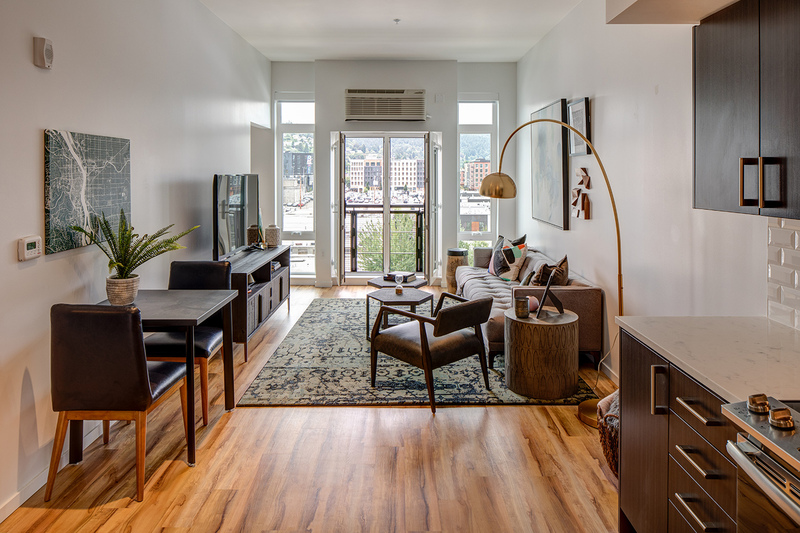 Slabtown Flats is situated right at the threshold of where the single-family Victorian homes of the Alphabet District and the industrial warehouses of the Pearl District converge. 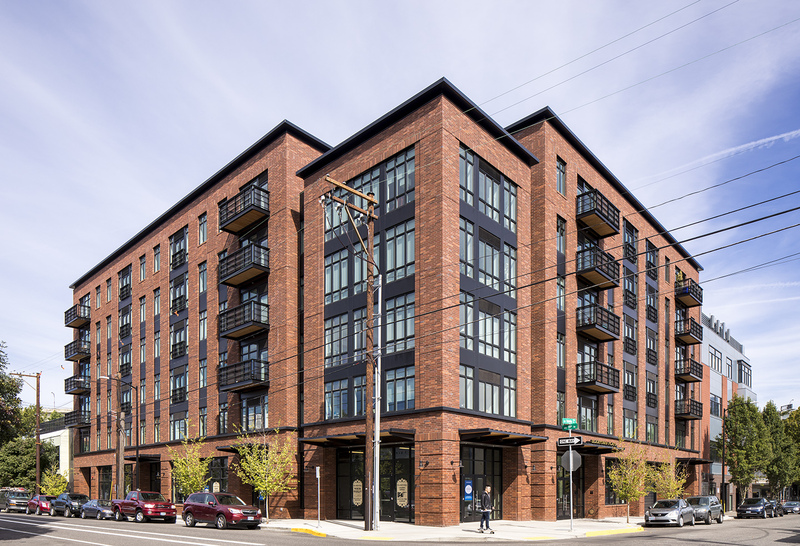 Drawing upon this duality, Slabtown Flats features 88 market-rate units in a six story, brick-and-iron-clad structure. 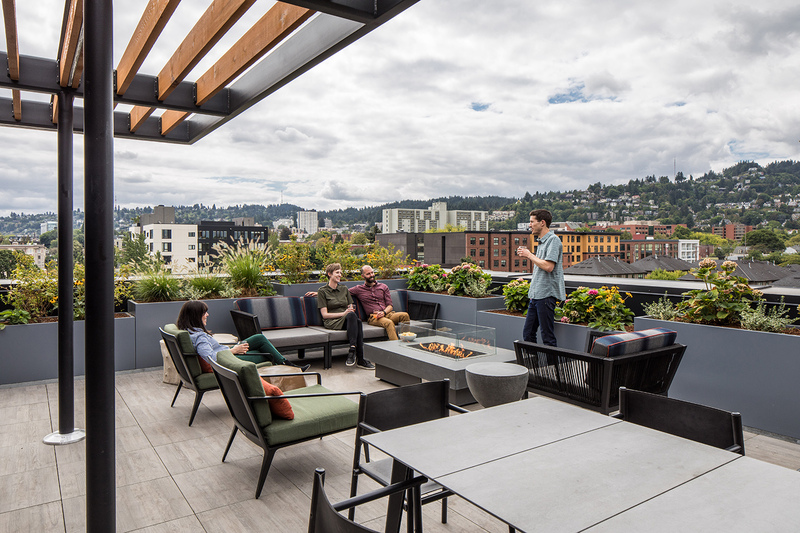 Amenities in this mixed-use development include retail, mechanized parking, bike parking, a multi-functional meeting room, a leasing office, and a coffee nook/lounge area on the ground floor; a fitness center, roof terrace with firepit and grill, and a large lounge/gaming room round up the amenities on the upper floors. 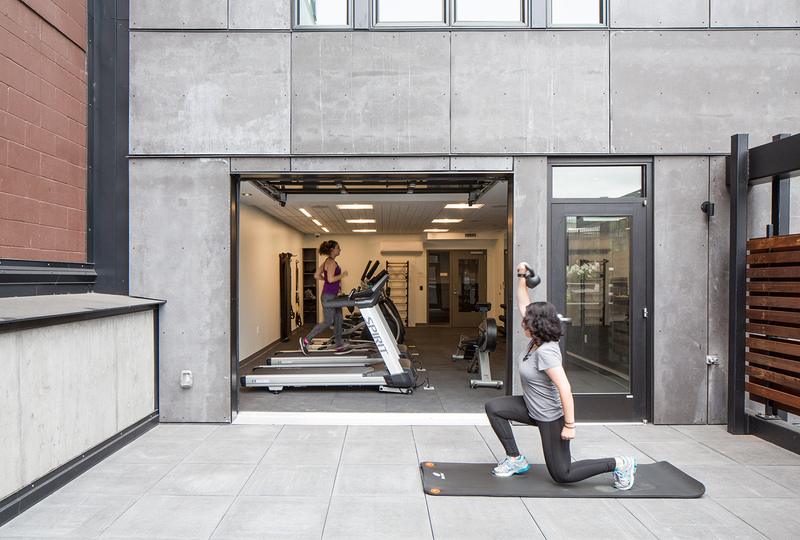 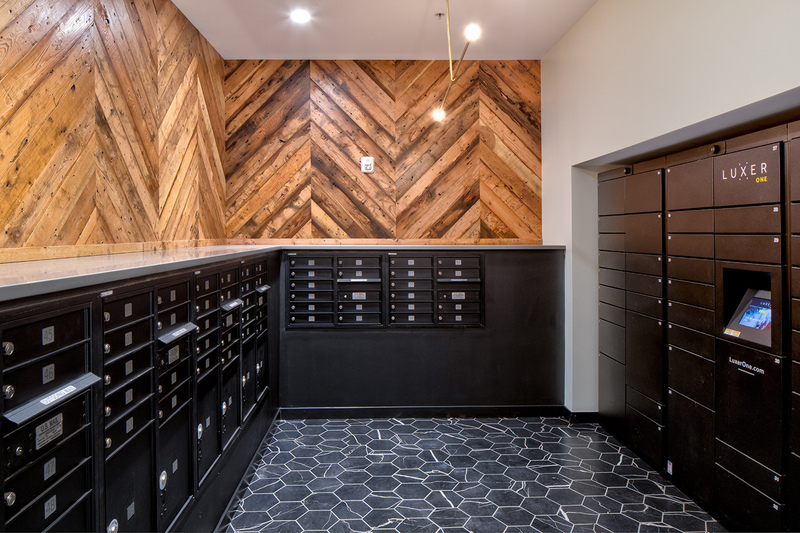 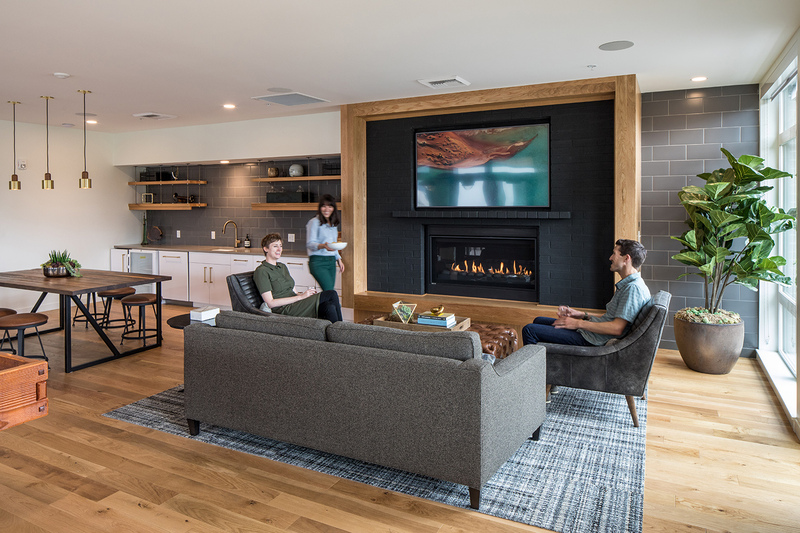 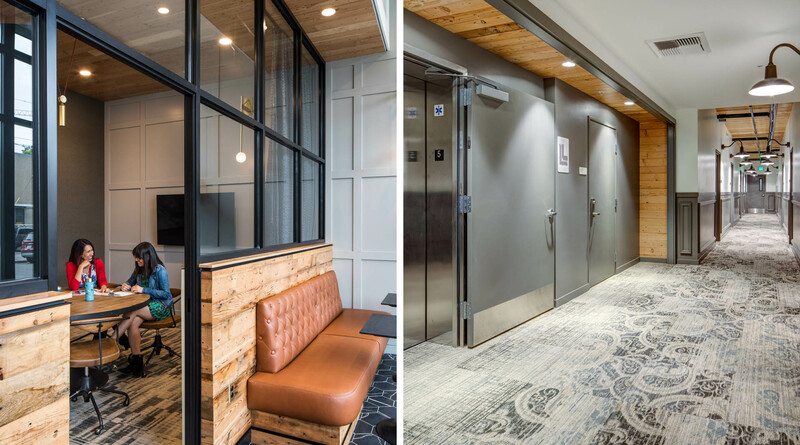 Reclaimed wood and copper-plated fixtures line the entryways, hallways, and amenity spaces throughout the project, harkening back to the neighborhood’s historical context. 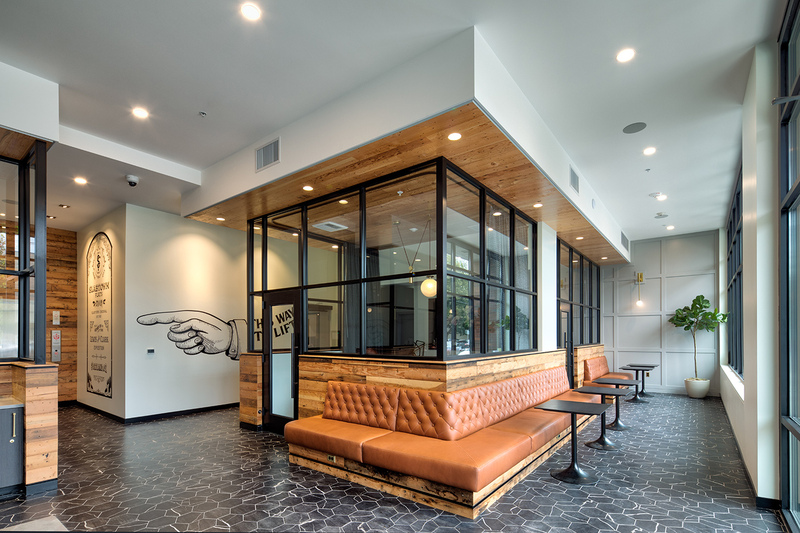 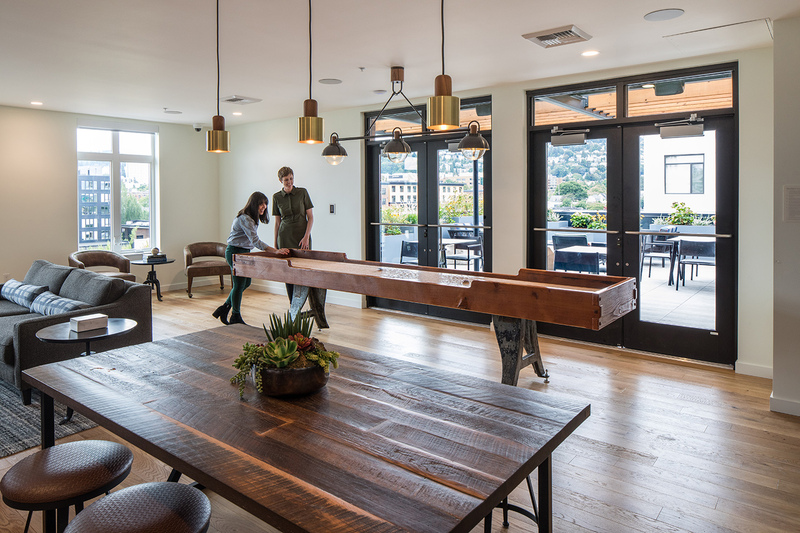 The custom shuffleboard in the top floor lounge even utilizes salvaged wood from the site’s original tavern.